It started to feel like winter this past weekend, when temperatures dipped into the 20’s, and we woke up to a beautiful frost-covered ground. Fall has been so lovely, it kind of took me by surprise! I dug out all of my kids’ snow clothes, and had them try everything on to see what we needed for this year. I figured it was time to get prepared…November in upstate New York means snow could come at any time! There are so many wonderful things about winter, and I’m looking forward to cozy nights by the fire, snowy days, making snowmen, drinking hot chocolate, wearing my favorite sweaters and boots, taking my kids sledding, and oh my goodness, so much more. 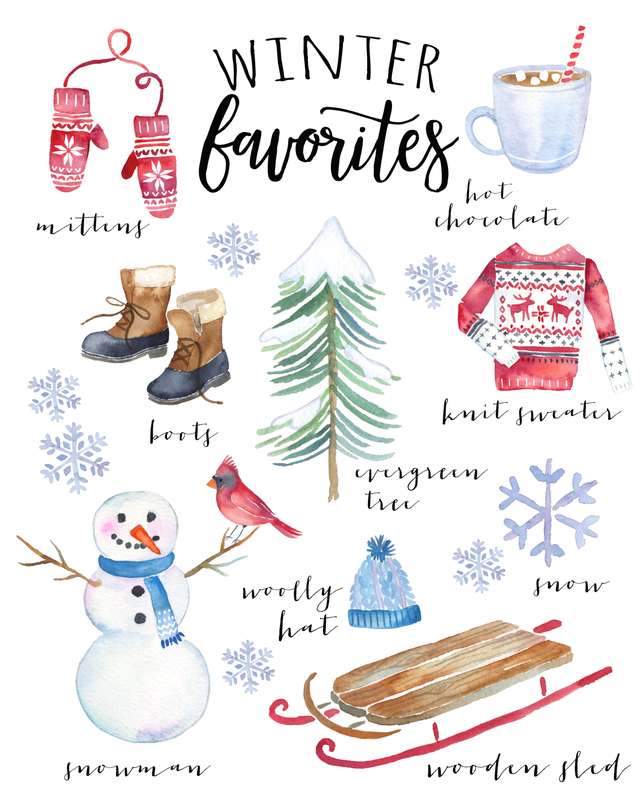 Thinking about my winter favorites inspired me to create a fun printable that’s perfect for decorating for Christmas and through the winter! Just looking at this makes me so excited for all of the things I love about wintertime, and my winter favorites. 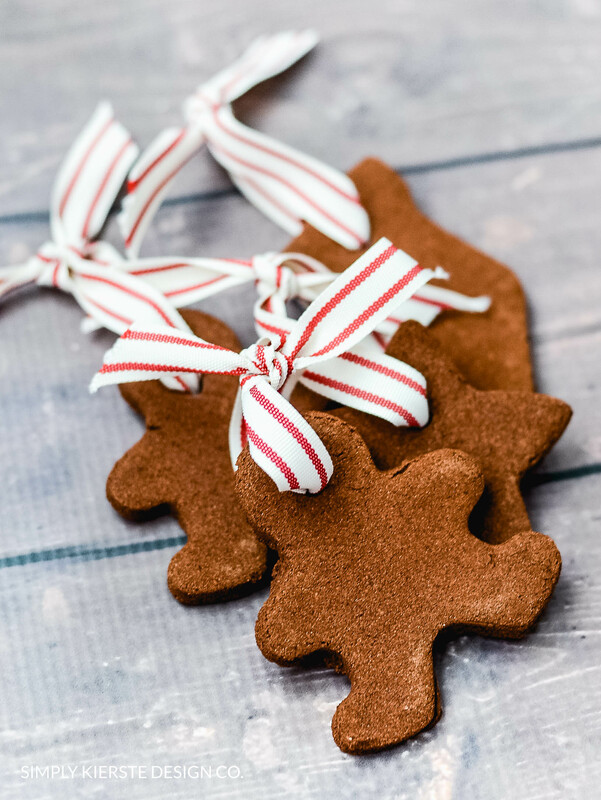 Some of my most favorite memories with my kids and with our family have occurred during the winter months, and we’ve already started making our list of the things we want to do. 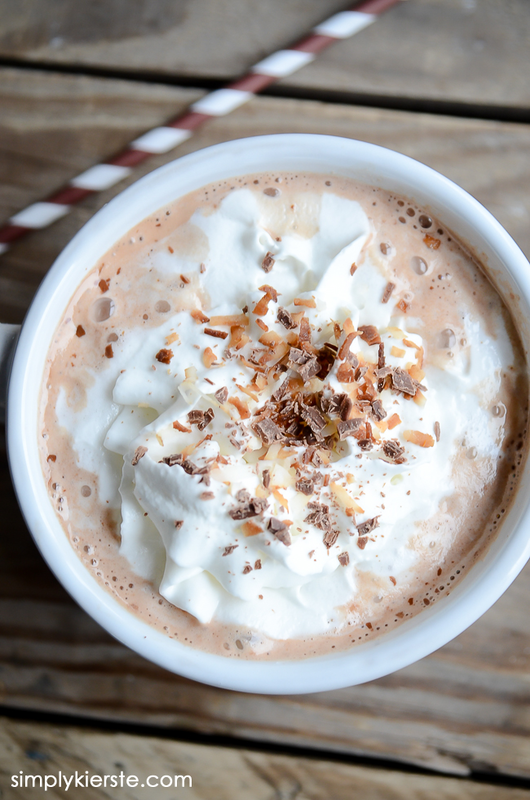 When my kids have a snow day, it means hot chocolate, board games, making a snowman, sledding down the hill, and curling up to watch a movie by the fire. Being cozy is one of my most favorite things ever, and wintertime is the epitome of cozy! I absolutely love living where there are four very distinct seasons and I appreciate the beauty of each one. At Old Salt Farm we have lots of woods around us, and it’s all I can see in every direction–tree-covered valleys and mountains– and when the snow is covering the trees, its beauty is spectacular. I hope this little printable inspires a love for winter in you too! I sized it to 8×10, and it’s perfect for printing and displaying as part of your Christmas and winter decor. Even if you live where it’s warm, this will bring a little winter joy into your home! You can print on to white cardstock and cut to size, or get it printed at a photo center. Hope you have a Happy Thanksgiving! Love the download. Thanks! Your work is simply beautiful! Thank you so much for sharing- Merry Christmas! Thank you so much, Phyllis!! Merry Christmas to you!!! Thank you so much for sharing this, it’s lovely!